Leifheit wiper cover micro duo XL for floor wiper TWIST XL: with its 2-fibre system it offers the double cleaning power. The special bristles stick out a little bit and take the dirt out of every gap. They reach every hollow in structured surfaces. The micro fibres have microscopically small gaps to remove the whole dirt and the water. 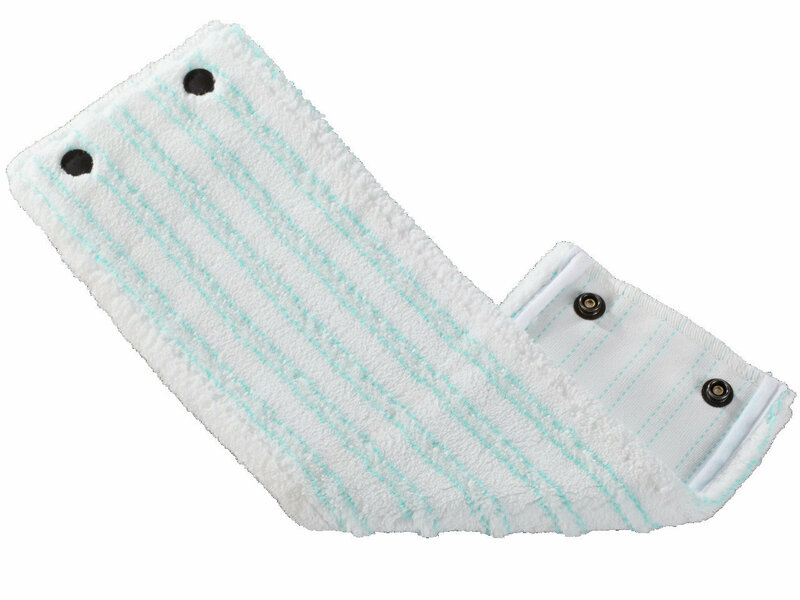 Wiper cover micro duo is washable at 60°C and does not loose its cleaning power even after repeated washings. It is easy and quick to fix by a press button. Wiping Width 43 cm.